45 days ago, on Feb. 8, a still unnamed university police officer ran over Stony Brook University student Brianna Bifone with his vehicle. Since then, emails have been sent by the director of risk management concerning the free giveaway of reflective vests, and the university hosted a Pedestrian Safety Day. These actions have sparked the question of whether or not Stony Brook University has, since the accident, been making an extra effort to do what it can to prevent any more such events. 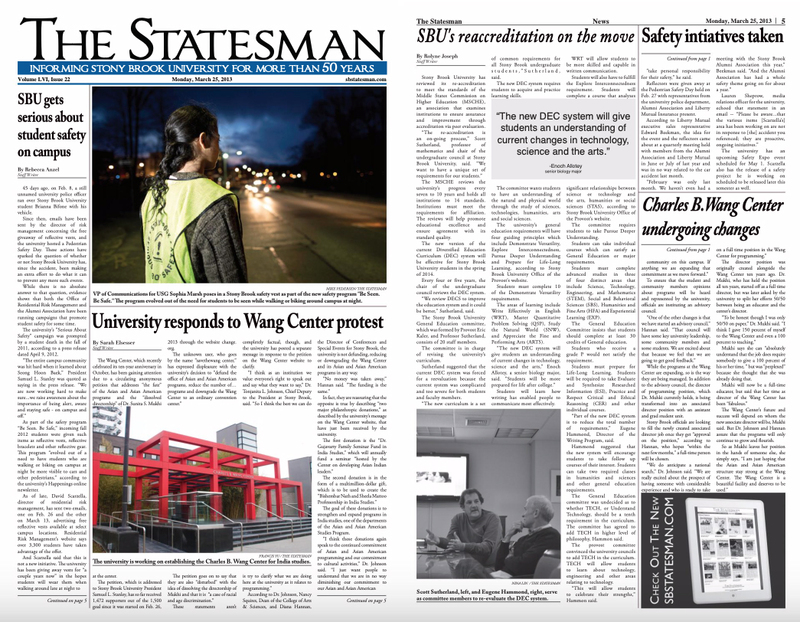 While there is no absolute answer to that question, evidence shows that both the Office of Residential Risk Management and the Alumni Association have been running campaigns that promote student safety for some time. The university’s “Serious About Safety” campaign was prompted by a student death in the fall of 2011, according to a press release dated April 9, 2012. As part of the safety program “Be Seen. Be Safe,” incoming fall 2012 students were given such items as reflective vests, reflective bracelets and other reflective gear. 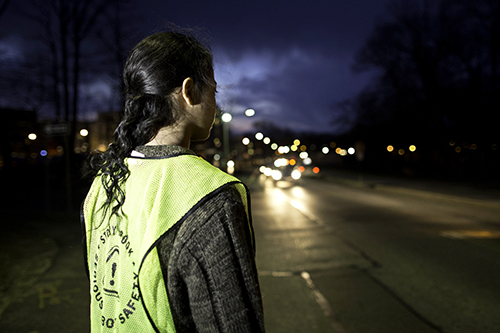 This program “evolved out of a need to have students who are walking or biking on campus at night be more visible to cars and other pedestrians,” according to the university’s Happenings online newsletter. As of late, David Scarzella, director of residential risk management, has sent two emails, one on Feb. 26 and the other on March 13, advertising free reflective vests available at select campus locations. Residential Risk Management’s website says over 3,300 students have taken advantage of the offer. And Scarzella said that this is not a new initiative. The university has been giving away vests for “a couple years now” in the hopes students will wear them when walking around late at night to “take personal responsibility for their safety,” he said. Reflectors were given away at the Pedestrian Safety Day held on Feb. 27 with representatives from the university police department, Alumni Association and Liberty Mutual Insurance present. According to Liberty Mutual executive sales representative Edward Beekman, the idea for the event and the reflectors came about at a quarterly meeting held with members from the Alumni Association and Liberty Mutual in June or July of last year and was in no way related to the car accident last month. The Statesman published this piece in print on March 25, 2013. The university has an upcoming Safety Expo event scheduled for May 1. Scarzella also has the release of a safety project he is working on scheduled to be released later this semester as well.